Mul Akshar Gunatitanand Swami is the embodiment of Aksharbrahma and the ideal devotee of Bhagwan Swaminarayan. On numerous occasions Bhagwan Swaminarayan identified Aksharbrahma Gunatitanand Swami as the first in his lineage of Gunatit Sadhus. Gunatitanand Swami left the physical body at the age of 83, a memorial – Akshar Deri was made on the cremation ground to honor him. It is regarded as a bridge between the past and the future that link together generations. From here Gunatit is always present through another form. This literature is a synopsis of the glory, greatness and history of the Akshar Deri as revealed by Yogiji Maharaj. It is Yogiji Maharaj’s favorite place. 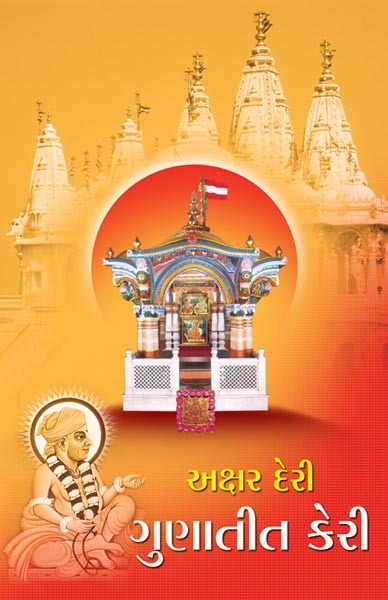 Through the Sankalp of Pramukh Swami Maharaj this book had been published on the auspicious occasion of the bi-centenary celebrations of Gunatitanand Swami.